NOT EXPECTED: Andreas Mikkelsen had to deal with this tractor during the Sherwood test. 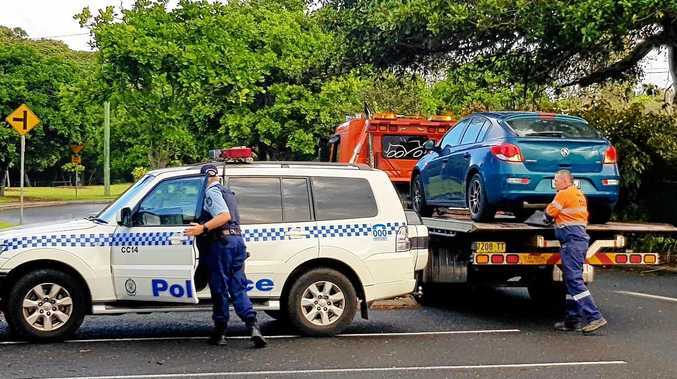 RALLY Australia organisers have scrambled to clarify a bizarre incident during the World Rally Championship in Coffs Harbour last Friday, where a rally car came across a tractor on the competition course. Norwegian Andreas Mikkelsen had just passed through a chicane made from haybales when he flew by a tractor slowly moving along the track. Mikkelsen crashed only moments later, with Hyundai coming forward to say the haybale was partly to blame for their drivers' accident. WRC rally driver's brush with tractor: Rally Australia has today explained Andreas Mikkelsen's brush with a tractor at the world rally. Rally Australia said the tractor was present to readjust a haybale in the chicane which had been dislodged by a previous driver. 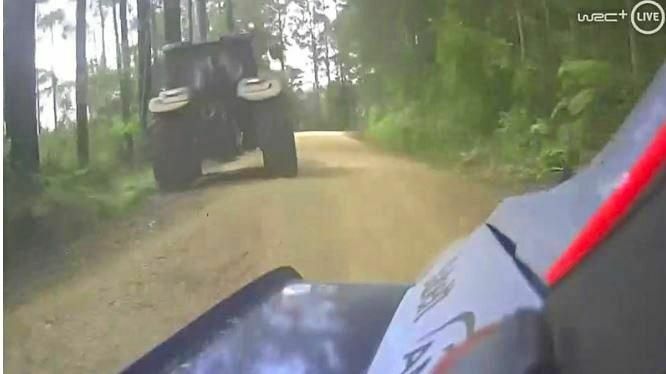 "On-board video from the following car clearly showed the tractor was sufficiently off to the side of the road to allow it to pass safely - although it would certainly have been a surprise to the driver to see a tractor so close to the rally track," Event sporting director Adrian Stafford said. "An examination of radio communication logs showed there was a misunderstanding about moving the tractor on to the course to repair the haybale chicane." Rally Australia conducted a full investigation following the incident resulting in new procedures for the use and maintenance of chicanes at future events. They also confirmed the tractor and haybale provider employed to attend to the haybale chicane and other similar installations on the event course this year would continue in 2019. Rally car head-on with a hay bale: Former Australia Rally champion Molly Taylor had a heavy impact with a hay bale at Kennards Hire rally Australia, as questions are asked about the bales on the stages. It wasn't the only hay related incident at the event, with top Australian driver Molly Taylor crashing into a bale during the Coldwater stage. Taylor and her co driver Malcolm Read were treated by medical crews following the incident, but were cleared of major injuries. However their car was withdrawn from the rally following the incident.